Is there anything more frustrating than commuting into work in the morning and getting stuck behind someone traveling in the left lane of the highway while driving below the speed limit and the speed of the prevailing flow of traffic? It’s maddening! 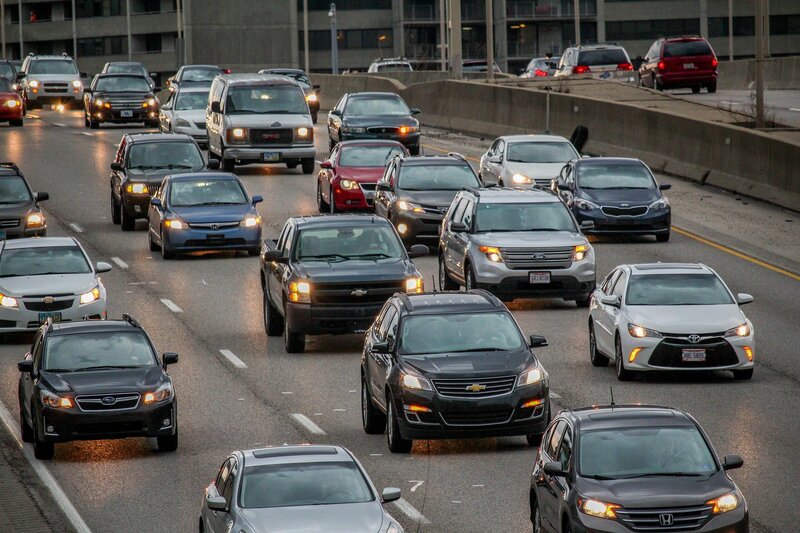 The other morning, as I encountered just such a situation, I began to wonder exactly what the laws were concerning travel in the middle and left lanes of the highway. I live in Kentucky but often travel into Ohio and Indiana, so I wondered how different the laws would be for each state and, like the good librarian I am, I decided to do some research. Preliminary searches on Google (because yes, librarians Google things too) all seemed to reference the same chart from MIT from 2010 that indicated in the state of Ohio, as long as you are traveling the speed limit, you can travel in any lane you wish. That contradicted several things I had heard recently, so I decided to go straight to the source, and here is what I found. direction and operators of vehicles shall obey the directions of such signs. All right, clear enough. In Kentucky, the rule is keep right except to pass and there are frequently signs posted that indicate as much. Sec. 9. (a) A vehicle that travels at a speed less than the established maximum shall travel in the right lanes to provide for better flow of traffic on the interstate highways. You can be fined up to $500 for misuse of the “fast lane” in Indiana. It can also be considered probable cause for a traffic stop. Indiana doesn’t mess around. So this law no longer applies to my morning commute where all three lanes are traveling in the same direction. The law clearly includes the word “prevailing” when describing speed. This can also be summed up with the phrase “follow the flow of traffic”. A motorist's conviction for improper lane usage was supported by evidence that the motorist had driven for three and one-half miles in the left lane of a freeway at a speed of 60 to 65 miles per hour, which was less than the normal speed of traffic at that time and place, without justification, and that while there was no vehicle in the right lane, vehicles were backed up in the left lane because they did not want to pass the motorist on the right. So there you have it. All three states very clearly prefer a “keep right except to pass” model and failing to heed that preference can really cost you. Not to mention it’s just good driving manners.